"Urban Dove has given me experiences I will remember forever: my first job, the opportunity to see the world outside of New York City, and the knowledge that you don’t have to be someone else to be somebody." 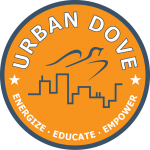 The Urban Dove Board of Directors oversees the central Urban Dove organization is focused on growth, fundraising, and strategic planning. Both boards are made up of caring, committed volunteers whose efforts help ensure Urban Dove carries out its mission. The Urban Dove Team Charter Schools Board of Trustees oversees all schools in the network, ensuring that our schools are well run, are faithful to their charter, and are providing an excellent educational experience to all of our students. Mr. Mark Benerofe serves as the Chief Executive Officer of CampGroup, LLC., and as a Principal of Benerofe Properties, a real estate investment firm. Prior to joining Benerofe Properties in 2004, he taught high school and coached basketball for ten years in the New York City public school system. Mr. Benerofe holds a Masters in Anthropology from Hunter College, a Masters in Education Administration from Baruch College and an Undergraduate Degree from Cornell University. Steve Berger is a founding partner of Berger & Webb and the head of its commercial litigation and employment practice groups. Mr. Berger has more than forty years’ experience litigating complex commercial disputes. Larry Ellman is the Managing Partner of Broadview Real Estate Partners. He has more than two decades of experience in U.S. real estate investment, including debt, entity-level, joint ventures, direct acquisitions and CMBS. Prior to joining Berkshire, Ellman held senior leadership positions with Berkshire Real Estate Ventures, Citigroup and J.P. Morgan Real Estate. Mr. Ellman received his B.S. in Finance and Real Estate from the University of Southern California and his M.S. Real Estate from MIT. David Froelich is currently the CEO of BGS Control, a local firm offering building efficiency systems to help real estate owners reduce water and fuel expenses. He brings over 30 years of executive management experience in operations, strategy and finance to the company. Mr. Froelich earned his BA degree from Tufts University and an MBA from Northwestern’s Kellogg Graduate School of Management. Henry Johnson is currently serving as Managing Director for Mergers and Acquisitions at RBC Capital Markets. Prior to joining RBC, Mr. Johnson was Managing Director at Barclays Investment Bank from 2008-2013 and Senior Vice President at Lehman Brothers from 2001-2008. Henry received his B.A. in Economics and his MBA from Duke University. Mr. Lieberman has 30+ years of experience in the mortgage and derivatives markets. He is the founding member of West Side Advisors and has served as President since its inception in 1997. Prior to founding West Side, he was a Senior Managing Director at Bear Stearns & Co. and President of Bear Stearns Investment Advisors. Mr. Lieberman received a B.A. from Emory University and a M.B.A. from The University of Pennsylvania’s Wharton School. Mr. Oppenheimer serves as the Senior Vice President, Strategy & Service Lines, at the Hospital for Special Surgery. In this role he leads enterprise strategic planning and execution, and manages hospital-wide initiatives for new partnerships, markets and services. Prior to joining Hospital for Special Surgery, Mr. Oppenheimer was a Senior Engagement Manager for Monitor Deloitte. Mr. Oppenheimer holds a MBA from Harvard University and a BA in Political Economy and Finance from Princeton University. Spencer Rothschild is the founder and president of Barrio Foods LLC, with a proven track record of creating and consulting for multi-unit hospitality businesses over the past twenty years. Following his graduation from Tufts University, Mr. Rothschild became a partner at Main Street Restaurant Partners (MSRP) where he launched some of Manhattan’s most successful restaurants, including Union Pacific, Rain, Main Street, Calle Ocho, Django and BLT Prime. In 2007, he introduced Barrio Foods, opening and operating enormously popular restaurants such as Barrio and Yushi, as well as re-launching the world famous Copacabana Nightclub Supper Club. Mr. Rothschild also started the program, Barrio Goes to School, where students spend the afternoon at one of his properties learning about food service operations, regional ingredients and cooking techniques. He sits on the Park Slope Chamber of Commerce and the Prospect Park Visitor Services Committee and is committed to giving back to his community. Daniel Satterwhite serves as a principal at Houston Street Capital, LLC. After a decade of work with firms involved in real estate financing, development, and sales and leasing, he founded Houston Street Capital, LLC with his several partners. Under the leadership of Mr. Satterwhite and his partners, Houston Street Capital has sponsored and participated in the acquisition, development, and management of commercial and residential properties in New York, the Southeastern United States, South Texas, and Oklahoma City. Mr. Satterwhite holds an MS in Real Estate Development from New York University and a BA in finance and business administration from The University of Texas at Arlington. Stephen Swiatkiewicz is an experienced real estate and commercial attorney. In addition, Mr. Swiatkiewicz is a founding partner of Midway Investors, LLC, which owns and manages multi-family and retail properties along the eastern seaboard of the United States and in Texas. He is also an investor and board member of several privately held companies, among them: a New York City based IT staffing company, an owner/operator of fifteen (15) summer camps based throughout northeast and midwest of the United States, as well as a New York City based proprietary school. Mr. Swiatkiewicz received a Juris Doctor degree from New York University Law School, a Bachelor of Arts degree from Trinity College and a Masters Degree in Public Administration from the Woodrow Wilson School of Princeton University. Mr. Swiatkiewicz is admitted to practice law in the State of New York. Patricia brings a deep legal background with a commitment to economic justice advocacy and education innovation. She has over 15 years of legal, entrepreneurship, non-profit management, charter school governance, and instructional experience in higher education in NYC. Patricia is excited about the powerful opportunity to contribute to closing the experience gap for students in the South Bronx through community-based efforts and partnerships. Patricia is serving her third year as the Executive Director of Areté Education. She is also a founding member of the Board of Trustees of Urban Dove Team Charter School, a Brooklyn-based alternative high school for over-aged and under-credited students. Patricia holds a B.A. in African American Studies and Government from Wesleyan University, an M.P.S. in Africana Studies from The Graduate School of Cornell University and a J.D. from the James E. Beasley School of Law at Temple University. Andrew is the newest member of Urban Dove Team Charter Schools Board of Trustees, helping to oversee operations. Andrew graduated in 2007 from Widener University with a B.A. in Management Information Systems. After graduating, Andrew worked at Lighting by Gregory as Information Technology Systems Manager for over 9 years, managing their web presence and technical operations. In 2009 Andrew founded UtterJargon Media LLC, a consulting firm that provides guidance and management assistance to small businesses, start-ups and entrepreneurs. Today, Andrew works as Head of Digital at KK & Jay Supply Co. while also managing his own company. Patrick is a Founding Board Member of Urban Dove Team Charter School and has served on the board for over 6 years. Patrick received his M.B.A. in Finance/Management at CUNY-Baruch College – Zicklin School of Business. He then worked as Chief of Operations at Urban Assembly school from 2006-2011. Afterwards, he began working at the NYC DOE first as Network Leader for 4 years and then moving into his current position as Deputy Cluster Leader/Chief Operating Officer, which he has been working in for over 5 years. Patrick is a seasoned executive leader with the ability to embrace, drive and implement strategic objectives within complex, multi-dimensional organizations during organizational change – providing direct guidance and leadership to both instructional and operational staff. Michael Grandis’ practice focuses on corporate transactional work and he serves in a general counsel role, as management advisor and contract negotiator, for several middle market companies. In addition to mergers and acquisitions, venture capital and private equity investments, his experience includes SPAC deals, divestitures, mezzanine debt transactions, joint ventures, recapitalizations and financings. His practice also includes intellectual property and licensing matters, employment agreements, complex commercial deals, corporate governance and other day-to-day general corporate matters. In addition, Mr. Grandis counsels a variety of professional services firms in connection with ownership transition issues, restructuring, management succession, financing, and general business advisory services. Mr. Grandis handles domestic and international transactions for clients in a broad array of industries, including technology, real estate, health care, financial services, energy, entertainment and media, logistics, internet gaming, advertising, fashion and apparel, camping and recreation, restaurants and telecommunications. Wanda Morales has been an educator in New York City since 2005, when she was on the team that founded the Department of Education’s first bilingual sixth through 12th grade in New York City. During her time at this school, her passion for providing education to NYC school students was ignited and she earned her Masters of Science, Educational Leadership degree. Armed with her Masters Degree, Ms. Morales decided to walk into the world of charter schools and became the Founding Director of Operations at an elementary school in the South Bronx. The years she spent at this charter school convinced her to lend her voice to an additional school and, in 2013, when asked to join the Board of Directors for a transfer high school in the Bedford Stuyvesant section of Brooklyn; she proudly accepted. Adding another Bedford Stuyvesant school to her service, Ms. Morales is the current Director of Operations at BSNBCS. With just over ten years in education, Ms. Morales continues to proudly serve NYC students by helping them to achieve their academic goals. Kevin Turton has served on the Board of Trustees at Urban Dove Team Charter School for over 3 years. Kevin received his B.A. in International Relations, Dean’s List at CUNY City College. He then went on to receive his Juris Doctor at Brooklyn Law School. Afterwards, Kevin began working as Chief Operating Officer at Mission Critical Services, a multimillion dollar regulatory consulting firm, where he continues to work today. Since beginning his work there in 2012 he has ventured into 718iMAGiNATiONS, LLC, where he oversees content language for digital branding campaigns and is Principal and Shareholder of 90210 Talent, serving as mentor for professional talent. Kevin is a seasoned professional, providing expertise to UD Team’s board in the areas of student achievement, performance standards and in overseeing monthly budget reviews.